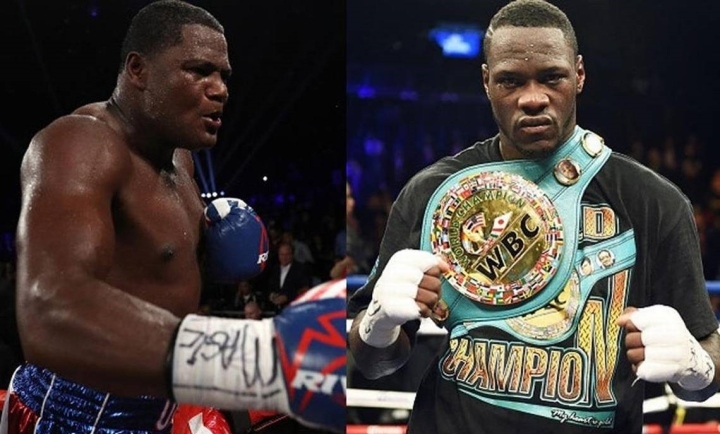 The primary reason Bermane Stiverne was willing to step aside and allow the Deontay Wilder-Luis Ortiz fight to be made was because he was certain it wouldn’t happen. The former WBC heavyweight champion revealed during a conference call Tuesday that he felt all along as if he were preparing to fight Wilder again November 4 at Barclays Center in Brooklyln (Showtime). Stiverne signed a contract to battle 6-feet-7 Dominic Breazeale on the Wilder-Ortiz undercard for that very reason, as Wilder also stands 6-7. Once Ortiz tested positive for two banned substances last month, the WBC ordered Wilder (38-0, 37 KOs) to make the mandatory defense of his title that Stiverne is owed. When asked later during the conference call to elaborate on why he felt so strongly about Wilder-Ortiz falling apart, Stiverne (25-2-1, 21 KOs) didn’t give a specific reason. Ortiz (27-0, 23 KOs, 2 NC) tested positive for an anabolic steroid following a first-round knockout of Lateef Kayode three years ago, but Stiverne didn’t mention the unbeaten Cuban southpaw’s previous PED troubles. Breazeale (18-1, 16 KOs), of Eastvale, California, instead will encounter Eric Molina (26-4, 19 KOs), of Weslaco, Texas, on the Wilder-Stiverne undercard. Wilder, who won his title by beating Stiverne in January 2015, is a 20-1 favorite as their rematch approaches. Maybe that crystal ball Stivernes got also revealed he's going to get beat AGAIN. Hey Bermane, when is Wilder going to fight somebody we care about? That's something we really would like to know. [QUOTE=DramaShow;18161675]so has stiverne but wilders happy to fight him instead....[/QUOTE] And Im not going to watch that sht show mismatch.